Every year, Hallmark puts out some rad retro ornaments. 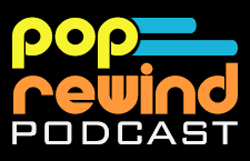 You’ve seen some of them on the Pop Rewind tree, and judging from this year’s offerings, you’re going to see some more! First up, for you cereal enthusiasts– a Snap, Crackle, Pop: Kellogg’s Rice Krispies ornament! I could think of a few more exciting cereals to include, but dangit, Rice Krispies are still hella tasty. Rainbow Brite is a safe bet for a Holiday ornament. Her face looks… off… but that doesn’t stop me from putting her in my basket. I had a turtle pool when I was a toddler, so I have a soft spot for this sandbox. Also helpful if you plan to build your own mini BattleBot’s Mega Tento. Candy Land was probably one of my most favorite board games when I was a little kid. I played it a few years ago, and while it was still fun, it took all of three minutes to set up and play. But to a 3-year-old, that’s an eternity of fun. Yabba-dabba-doo! If only there were a Rick Moranis as Barney Rubble ornament. Transformers ornaments are always welcomed on the official Pop Rewind Holiday Tree! And you definitely KNOW Linz will be lining up specifically for this Jem and the Holograms ornament, featuring Jem striking her trademark pose below the official Jem logo. Love that logo– the colors all together, yaaas. If only we had a She-Ra ornament to go along with this dude! Are you picking up any Hallmark ornaments this year? What are some of your all-time favorite ornaments Hallmark has put out? Let us know!